Did I really just witness Once Upon a Time‘s Cora become Mother of the Year? Who would’ve thought Once Upon a Time fans would see the day when Cora turned into Mother of the Year? For real, Regina and Zelena’s mother finally did the right thing for her daughters and brought them together in a way that was both beautiful and heartbreaking. More: When is Once Upon a Time‘s Mulan going to catch a freakin’ break? Sunday’s episode, appropriately titled “Sisters,” not only brought Cora back into the picture but also shone a light on some unknown history between Regina and Zelena from when they were younger. While a young Regina was playing with Cora’s wand, she wished herself a sister, causing the magic to backfire and harm her. The only way to save Regina was to have someone close to her (that is, another magical family member who has never harmed her) heal her. Enter a young Zelena, who Cora sought out and convinced with her typical scheming to come with her to heal Regina. After saving her sister, Zelena and Regina formed quite the connection and eventually figured out that they were related, thanks to Zelena’s magic opening up Cora’s wand box, which had been sealed by blood magic. Back to the present day: With the help of Hook, Regina freed Cora from Hades’ control in the hope that her mother could convince Zelena to not unite with Hades and try to change him for the better. If anyone can dash Zelena’s dreams and any good in her life, it’s Cora. Well, Regina and Cora’s attempt at trying to make Zelena forget all about Hades (by drinking a drop from the River of Forgetfulness) failed, because Zelena is smarter than anyone gives her credit for. More: Once Upon a Time: Wait, is [spoiler] really dead? As disastrous as all of the above sounds, Cora finally came around, returned the sisters’ memories of when they first met and became Mother of the Year by telling them they needed to be sisters from this moment on. She even admitted that seeing love as weak was wrong because love is the strongest thing of all. Cora also gave Zelena a genuine apology for abandoning her and never being the mother she should’ve been to her. At the end of the episode, Cora discovered her unfinished business was both Zelena and Regina. She needed to act like a mother by reuniting her family and showing them both the love they’ve always deserved. After two tear-filled good-byes, Cora walked into the light, escaping the Underworld. Yep, she entered the light — shocking, I know. You wouldn’t think it could get better, but it did. Regina told Zelena to go find love with Hades because maybe she can actually change him. She finally trusts Zelena and is giving her the respect a sister should. Yes, they’ve had their ups and downs. Yes, Zelena has done some horrible things, but who hasn’t on OUAT? I mean, Regina is formerly known as the Evil Queen. Anyway, it’s great to see these two acting like sisters should. Here’s hoping Regina comes to Zelena’s rescue and saves her sister from any more torture and/or heartbreak. 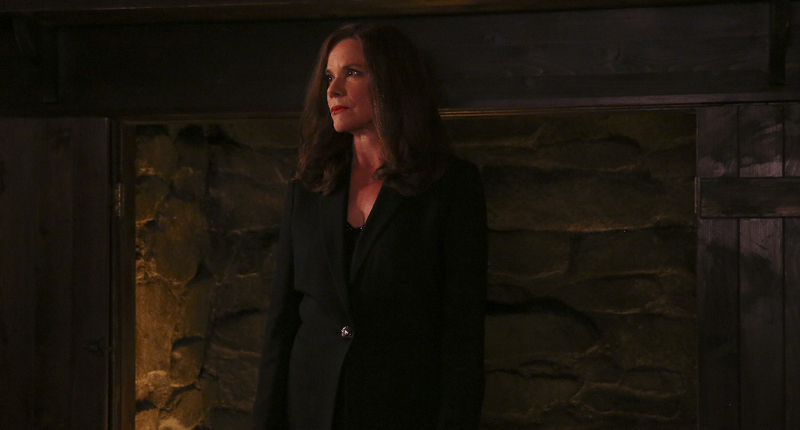 More: Once Upon a Time: Will Zelena and Hades become the next power couple?